When you need to resize, convert or watermark a single image it’s a simple job for any photo editor. But when you have to apply those basic edits to not one, but dozens or hundreds of images… well, it can become a really tedious task. This is where batch editing tools step in and make your job substantially simpler, by allowing you to apply the same operations to multiple photos at the same time. 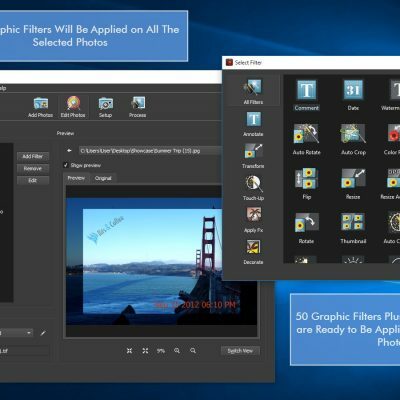 In this article we’ve compiled a list of 10 such apps for Windows, designed to simplify your post-processing work. 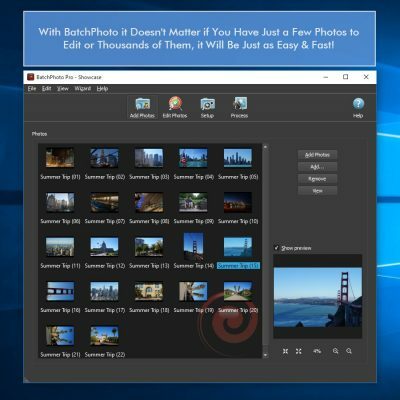 BatchPhoto is a batch photo editing app for Windows developed to help you improve your productivity. The app was created as a three-step wizard and therefore it is quite easy to use. All you have to do is add your images, edit them and choose your output format and destination folder. Next the program will automatically apply the edits you made to all the pictures. BatchPhoto is quite rich in features. The tool allows you to perform numerous image optimization operations, such as resizing, rotating, cropping, converting (extensive support for RAW formats), watermarking or date stamping. At the same time you can enhance your images by adjusting the contrast, brightness or saturation, by sharpening them or by applying a wide range of special effects like black and white and sepia. You can also decorate your pictures with various borders and frames. 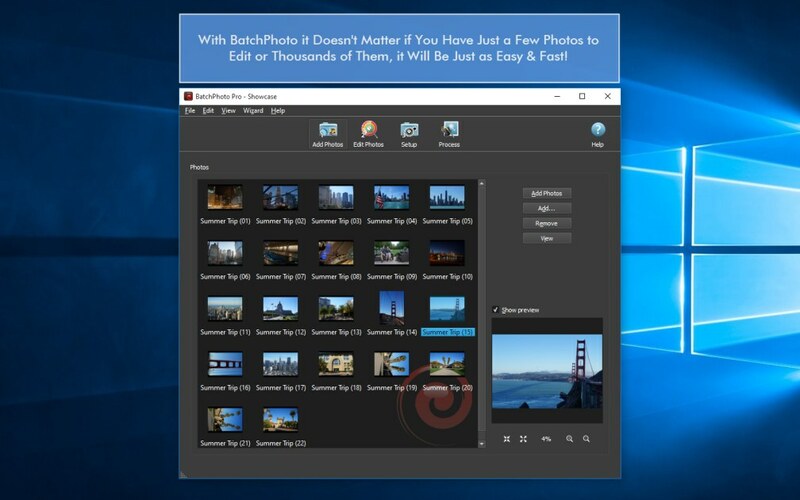 Because it was created with productivity in mind, BatchPhoto gives you the possibility to save your current settings as profiles and easily load them later, including directly from Windows Explorer contextual menu. This way you’ll be able to right-click on any picture and automatically apply your predefined edits, without having to open the program. As far as exporting goes, the tool gives you the option to save your newly-edited photos on your PC, upload them to FTP or share them on Facebook and Flickr. 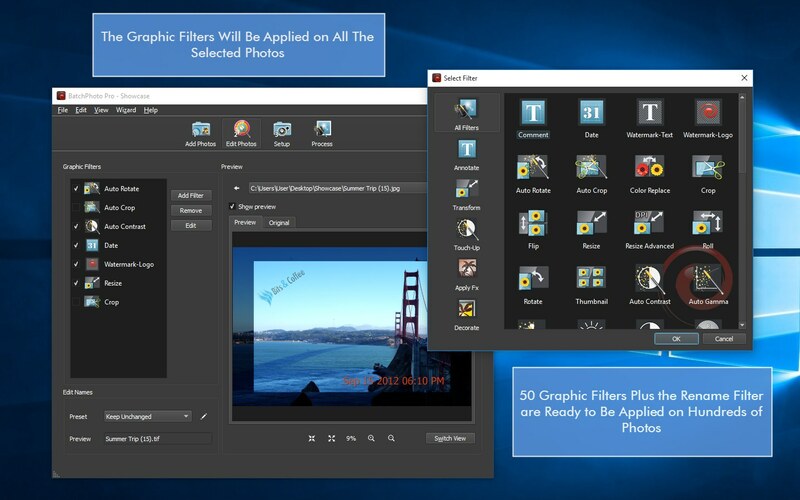 Fotor for Windows is a suite of editing tools with a batch processing feature. The app comes with a modern and intuitive design, which allows you to easily familiarize yourself with how everything works. Once you’ve uploaded your images you can begin editing them, and yes… there’s a multitude of possibilities when it comes to tweaking photos. Fotor allows you to crop, rotate, resize or fine-tune settings like the contrast, exposure, shadows or highlights. The program is packed with an impressive number of artistic effects, and offers a feature that is particularly designed for portrait retouching: you can fix skin blemishes, remove wrinkles and red-eye, whiten your teeth and many more. You can also add stickers, borders and various text to your pics. In addition to image editing, Fotor is well-known for its collage making capabilities. The app offers more than a hundred templates to choose from and, when you’re done, lets you save your photos on your computer or directly share them on popular social networks. 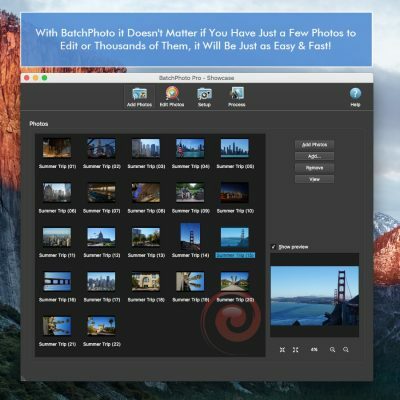 ImBatch is a batch image editing tool for PC created to automate a wide range of tasks. The program doesn’t have the sleekest interface and feels rather obsolete, but it makes up for it through the variety of features and fast processing. With ImBatch you can optimize your images by resizing, cropping, rotating, flipping or converting them in bulk. You can also improve their overall aspect by enabling the auto-enhancement filters or by manually setting the contrast, brightness and saturation, by adjusting the color balance and many more. The list of special effects includes the possibility to add a motion or gaussian blur, inner or soft shadow, fish eye or mosaic effect. The tool lets you save your frequently-used operations and automatically apply them later to another batch of photos. You can apply your saved tasks directly from Windows Explorer’s right–click menu to be even more efficient. Once you’re done you can upload your new images to FTP or directly publish them on Facebook. 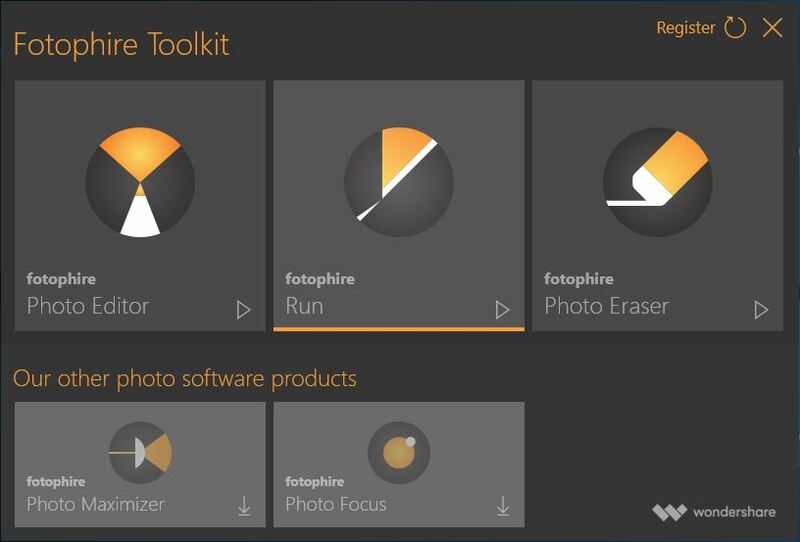 Fotophire is an image editing toolkit designed with the ability to process images in bulk. The software comprises three major tools: Photo Editor to optimize the aspect of your pictures, Photo Cutter to change the background and Photo Eraser to remove unwanted objects from your photos. The Photo Editor gives you multiple options to enhance your images. Depending on your needs you can crop, straighten or flip your pictures, adjust the white balance, temperature or clarity, add a creative vignette effect or apply over two hundred artistic filters like vintage and cinematic. Besides being impressively-rich in features, Fotophire scores points with users by being quite easy to use. Pretty useful is the fact that you have the option to save your settings as presets and use them in another editing session. The tool provides support for common image formats like JPEG, PNG or TIFF, but can’t read RAW files. You can opt to save the new set of images on your PC or share them on Facebook. Polarr is the right tool to use if you’re looking to give your images a professional look. Designed with batch export capabilities, Polarr enjoys a fresh interface and gives you the opportunity to optimize and retouch your pictures in numerous ways. The editing process starts off with basic operations such as resizing, cropping or rotating and continues with a large variety of adjustments to improve the exposure, contrast or saturation, to balance the tone, dehaze and denoise your pics and more. The app places at your disposal special face tools to clear the skin, remove red-eye or adjust chin and forehead dimensions, as well as dozens of effects and filters to enhance your photos. 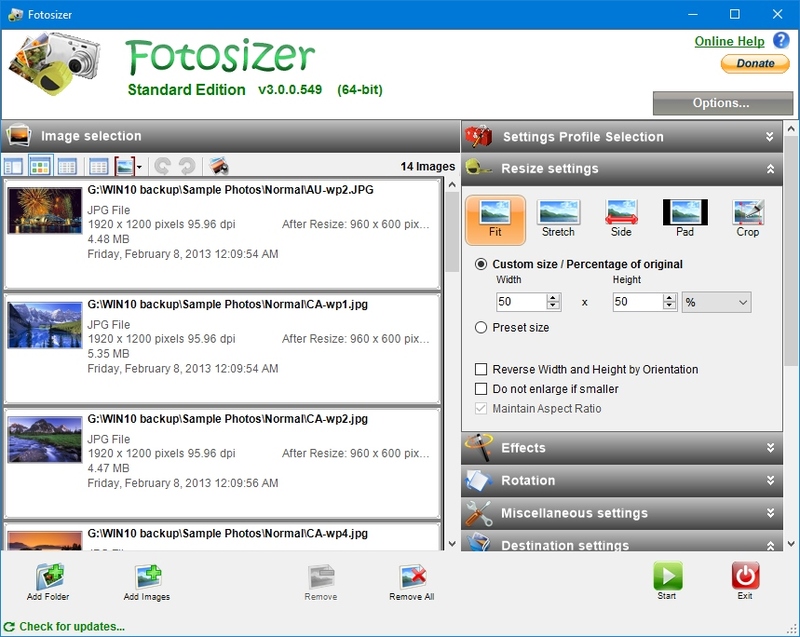 Fotosizer is a simple and efficient bulk editing software for Windows. The program comes with a clean interface and places at your disposal everything you need in the main dashboard (no menus to navigate). 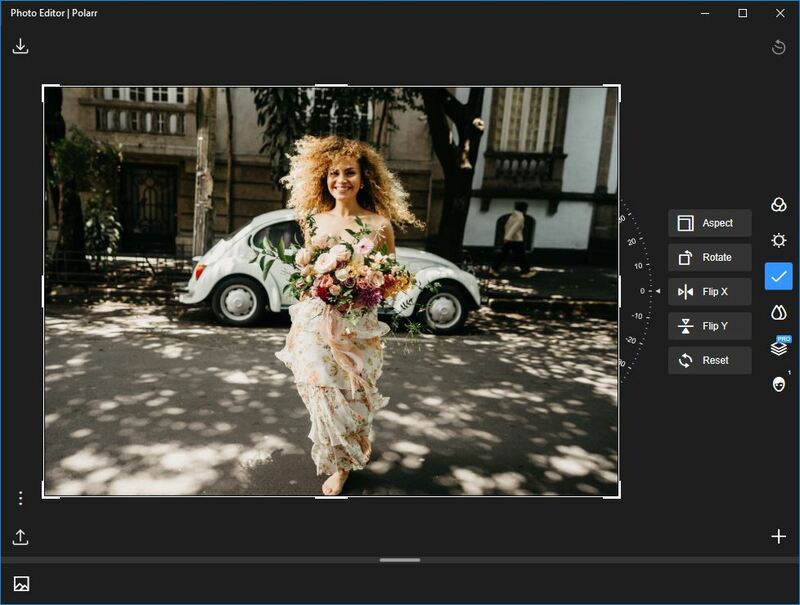 The editing process is pretty straightforward: add your images in the left side of the dashboard, apply the desired edits on the right side and just hit the Start button. Fotosizer comes with a decent amount of features. You can resize, crop or rotate your pictures, protect them with a text or logo watermark, balance the saturation, brightness or contrast or apply special effects such as polaroid, lomo or vignette. To make your tasks easier, you can save your settings as profiles and easily load them in another session. 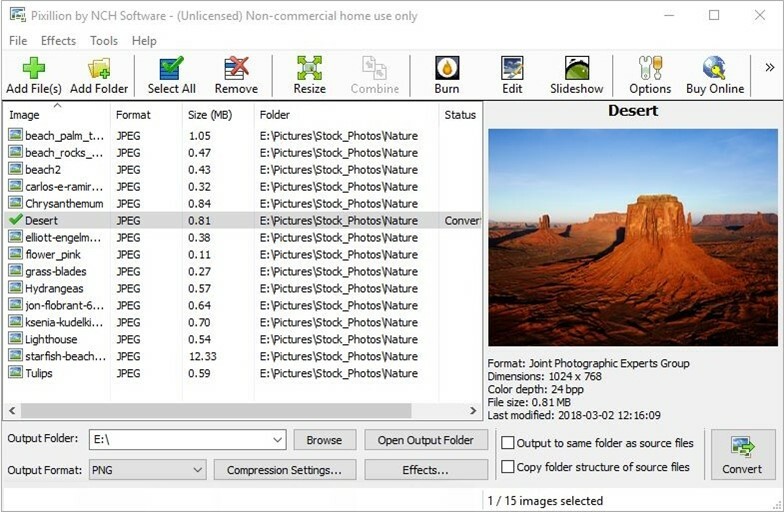 Pixillion Image Converter is a Windows batch editing software with a strong focus on converting images from and to a wide range of formats. 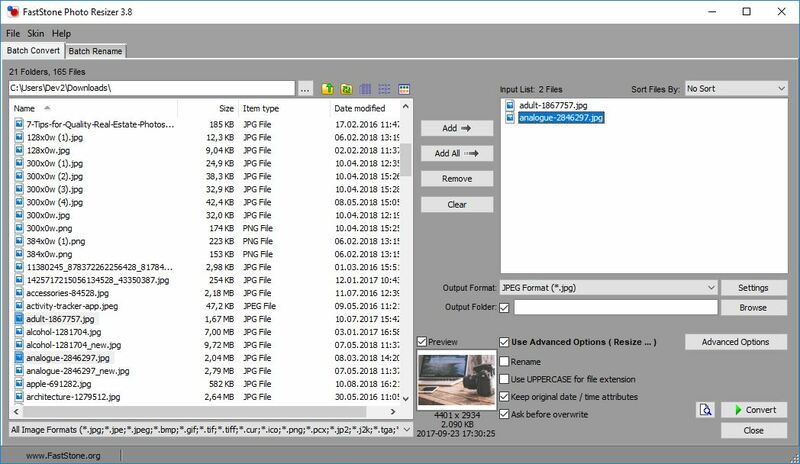 The tool comes with a user-friendly interface and makes it simple to process your photos: just add the pictures, select the output format and folder and let the program automatically convert them. Of course, in addition to converting, the tool gives you the possibility to apply other types of edits to your pictures to optimize them for web use, such as resizing, flipping, rotating or watermarking. If you wish to further retouch your images you’ll need to install its sister app called PhotoPad. Despite its restrictive name, FastStone Photo Resizer allows you to perform plenty of other useful operations besides reducing file size. 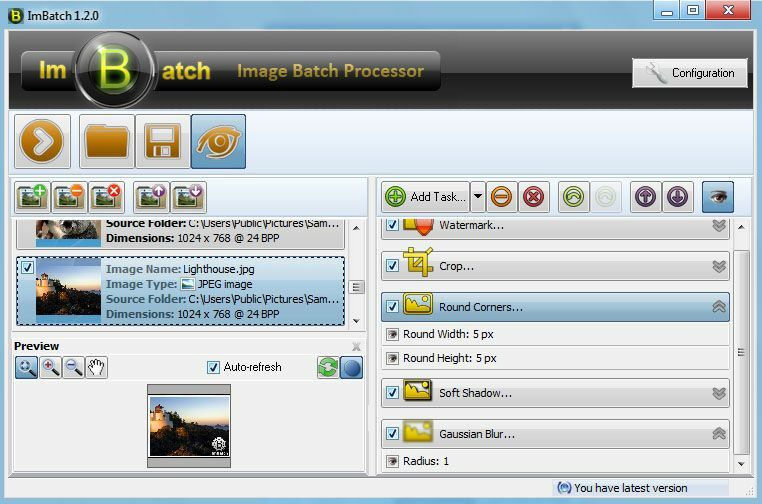 This batch processing tool is designed to rename, crop, rotate or convert images, as well as change the color depth, adjust the brightness, contrast or saturation. Additionally you can insert a text or logo watermark or add borders to your pictures. To save time and energy, the tool enables you to save your settings and apply them later to another folder of pictures. If the features are enough for basic image editing, the disappointing part about FastStone Photo Resizer is the design. The interface is pretty outdated and requires a little bit of adjustment time in comparison to other similar apps. 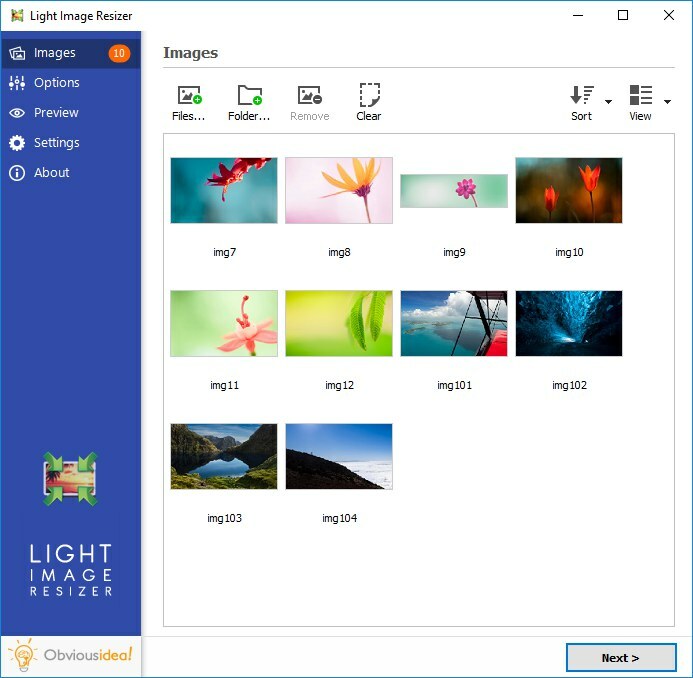 Light Image Resizer is an easy-to-use batch image editor. With this tool you can not only resize, but also rename, convert or watermark multiple pictures at the same time. Light Image Resizer also has features to adjust the brightness and contrast of your photos and to change the color depth. 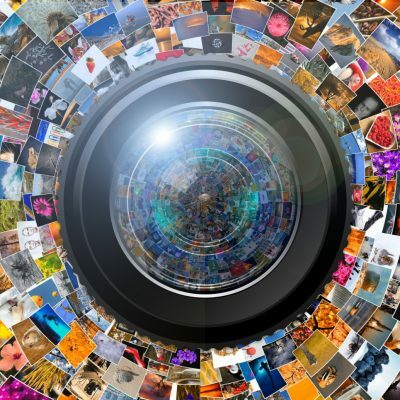 Moreover, you can create a collage from several photos and print it or directly share it on popular social platforms. 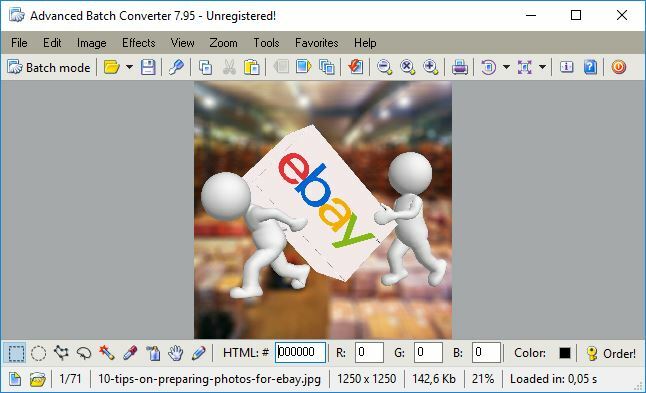 Our last proposal, Advanced Batch Converter is a Windows software designed to convert images in bulk and more. 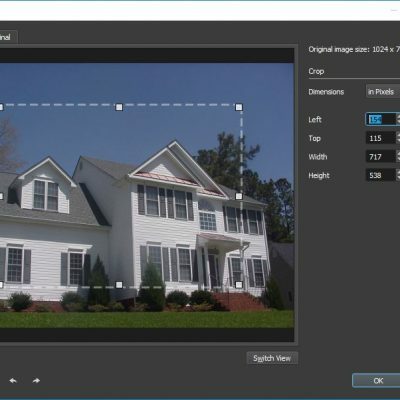 Besides converting, with this tool you can resize, flip, rotate or mirror your images, as well as improve their aspect by performing color corrections and applying various special effects. 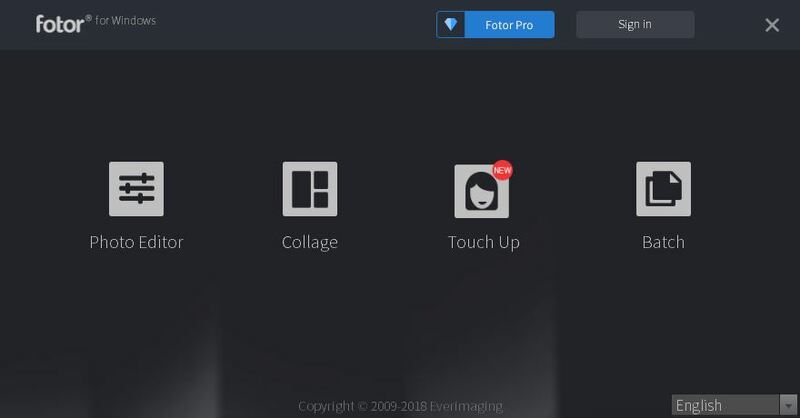 The downside of this tool is that it hasn’t received an update in quite a while and looks obsolete when you stack it up against other batch photo editors.